The Play Tab will have a 21.5-inch "full HD" display, an unspecified octa-core processor, 32GB of storage, 3GB of RAM, a 5,000mAh battery, and Android 9 Pie. I'm not sure how long that battery will last powering a massive screen, but Archos says it's enough for "long-lasting gameplays." 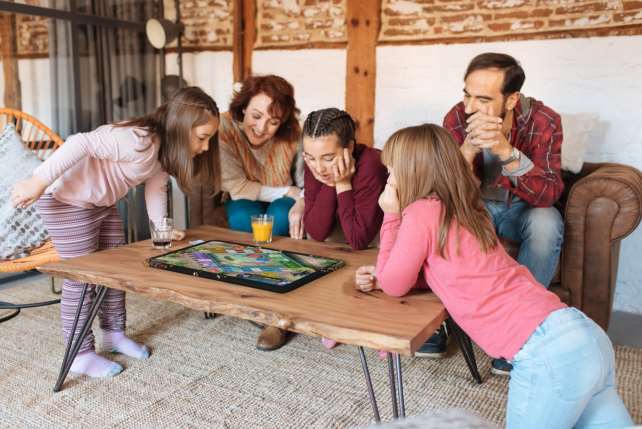 The tablet is designed for playing tabletop games, including Monopoly, Pandemic, Scrabble, Uno, and others. It will have full access to the Play Store, so most Android games should be compatible. The Archos Play Tab will go on sale in Europe later this year for €249 (around $280). Paris – Thursday, March 21 st 2019 - ARCHOS, the French pioneer of consumer electronics, today unveils its Play Tab, a large board, comprised of a 21.5-inch full HD display powered by a superior configuration, running Google AndroidTM 9 Pie, with complete access to Google Play Store and its huge number of games, in any category. global market is expected to reach values of over $12 billion by 2023 (Source: Arizton – August 2018). In Europe, more specifically, it might register an annual growth close to 23% by 2022 (Source: Technavio – May 2018). The ARCHOS Play Tab comes with a magnificent 21.5-inch full HD display, delivering wide angles, with a 6 millimeters laminated and tempered glass for splash and shock resistance. It is powered by an octa-core chipset delivering heavy performances, supported by a 3GB/32GB RAM/ROM combination for increased fluidity and faster response in any game. It runs Google latest operating system, AndroidTM 9 Pie, not forgetting the complete access to the Google Play store and its +3.5 million applications, books, games, and films. It includes a 5,000 mAh battery for enjoying long-lasting gameplays.